Through his extensive knowledge of living in the Middle East, author Jim Carroll provides an intriguing journey of Yacoub, a young Kuwaiti, as he pursues truth in “Kuwaiti Seeker.” Yacoub confronts the Sunni hadiths, the words and deeds of the prophet Mohammed. He is frustrated by his discoveries, though he continues as a Muslim, but one no longer grounded in his beliefs. I enjoyed the overall perspective on the history, changes, political corruption and Islamic religion the author provided. I found it quite interesting that often, as we see here as well, there is a favorite child who is willing to follow in the father’s footsteps, and the one who goes a different route is ignored. The protagonist Yacoub is an excellent storyteller and uses those skills to develop the white camel who can see the future, who follows him until the end of the book. However, in 1956 Yacoub leaves for the King’s College in London. It was here he learned that life outside of Kuwait opened up new adventures, romances and lifestyle. After King’s College Yacoub travels to New York to study Sharia law under Dr. Saturnalia Allison, an expert in Islamic Law and a self-declared agnostic. Interestingly enough although an expert in the field, she had little knowledge or desire to utilize the proper customs when encountering Islamic students and felt the need to be aggressive and controlling in all situations. After returning to Kuwait, Yacoub discovers that his position as a professor at the new university is on hold until he agrees to promote Sharia law being installed into the government. He was to become a scapegoat in other devious plans as well. His brother, an important imam, did not support this, but greed for money can be quite persuasive. The author continues to develop the storyline with how Yacoub skims money from his family’s business while continuing to be blackmailed by the professor and the government. 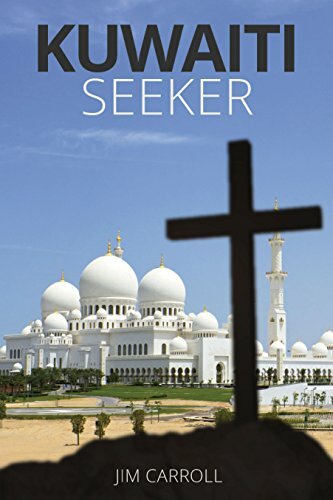 Overall “Kuwaiti Seeker” by Jim Carroll is a captivating, informative, and easy to read story. Readers will find the historical information revealing and the protagonist to be down-to-earth in his search for the truth.